Acupuncture is a safe and effective natural therapy that is used to heal illness, prevent disease and improve well-being. Tiny, hair-thin needles are inserted into specific points in the body, where they are gently stimulated to trigger the body's natural healing response. Acupuncture is effective for controlling pain and can regulate the body's physiological functions to treat various internal dysfunction and disorders. 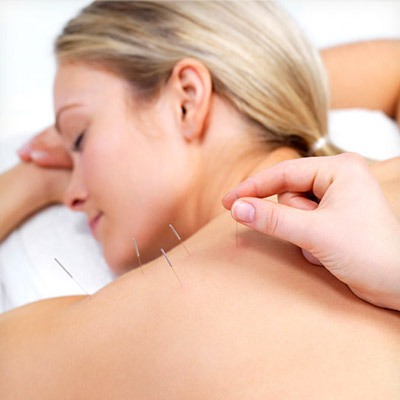 Acupuncture has been effectively used for the treatment of back pain, headache, migraine, and sports injuries. However, acupuncture provides more than pain relief. It is helpful in treating anxiety, insomnia, digestive problems, abdominal, menstrual cramps, weight control, infertility and much, much more. Acupuncture is a safe and effective technique for treating many health problems. In 1979, the World Health Organization (WHO) issued a provisional list of 41 diseases responsive to acupuncture. These include respiratory problems, various pain conditions, gastrointestinal problems, and premenstrual syndrome.